The BERA Blog editors are pleased to announce the launch of a new series of publications: BERA Bites, edited collections of selected articles on key topics in education published on the BERA Blog. Presented in an easily printable and accessible format, these editions serve as teaching and learning resources for students and professionals in education. Each collection offers contemporary insights into the debates, trends and dilemmas surrounding topical themes in educational policy and practice. Each edition features an introduction by editors with expertise in the field, with each article concluding with questions from the authors that can be used in classroom discussions, seminars and homework preparation. We launch this series with two collections, which focus on early years education and educational leadership respectively. The first collection starts with articles from Mary Dyer, Mathias Ubran, Alice Bradbury, and Siew Lee and Guy Roberts-Holmes that critically examine various forms of accountability within the early years field. Articles on speech and language have been written by Jo Flannagan and Bibiana Wigley, and by Rose White and Fran Pafford. The importance of play as a strand of pedagogy is addressed in two articles by Elizabeth Wood and Liz Chezworth, and Evgenia Theodotou. Play of a different sort is addressed in an article by Graham Welch, in which he hargues that music must have a central place in any educational system that aims to develop the whole person. Carolyn Blackburn draws our attention to the fact that one of the most challenging considerations when researching with children is the question of gaining children’s consent to participate in research, and their perspectives on the topic under study. Kelly Brooker writes about using the Tavistock method of observation to support reflective practice, arguing that in the current attainment-driven educational system – with its pervasive emphasis on predetermined outcomes – the Tavistock method enables researchers to gain insight into the internal world and emotional states of young children. Writing about the ‘mantle of the expert’, Tim Taylor introduces readers to some of the ideas underpinning curriculum study and the work of Dorothy Heathcote, who died in October 2011. Concluding this first edition of BERA Bites, Yinka Olusoga and Mandy Pierlejewski bring us back to the topic of assessment with a blisteringly critical evaluation of Ofsted’s 2017 Bold Beginnings report on the reception curriculum. 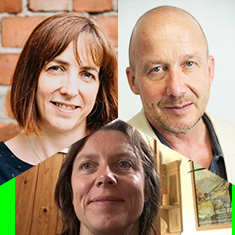 In the second edition of BERA Bites we have gathered together posts about educational leadership research that speaks to the question, ‘Are our schools fit for the future?’ While the collection mainly discusses the English educational context, we welcome the articles written from Israeli (Iván Diego, Catherine Brentnall and Sibylle Heilbrunn) and Swedish (Johan Prytz) perspectives for what they offer to our thinking about the UK education system’s direction of travel. We hope readers from beyond the UK find this collection useful as a critical case study of a system in flux which offers insights that can inform your own vision of what makes schools fit (or unfit) for the future. Articles in response to the 2016 education white paper, by Chris Husbands and Tim Brighouse, don’t pull any punches. Contradictions in documentation are highlighted, and key issues for our education system going forward are identified. These involve the location of power (and powerlessness), nationalisation (and marginalisation), governance, accountability pressures and challenges in teacher recruitment. John Howson, Tanya Ovenden-Hope and Frank Coffield reflect on current challenges for English schools in terms of recruitment and retention, the marginalisation felt by coastal schools and the pressures of accountability to Ofsted. The posts about accountability in this second edition, by Johan Prytz, Helen Young and Stephen Rayner, focus on governance in education. All three articles highlight gaps in the research evidence base that could inform those interested in the strategic direction of education at national, local and school levels. The last two posts are united by their attention to the role of entrepreneurship in education. Iván Diego, Catherine Brentnall and Sibylle Heilbrunn challenge whether curriculum changes in Israel termed ‘business or entrepreneurship education’, contribute to the increased social mobility claimed by advocates or instead reproduce social inequality. Sue Robson’s manifestation of entrepreneurship through collaborative leadership is more upbeat, and is offered as a solution to dealing with many of the challenges covered in this collection. We hope you find this new series a valuable set of teaching and learning resources, and we encourage you to share it with colleagues, researchers, students, governors and parents. As with all our publications, we welcome feedback on how we can develop these resources further for everyone interested in educational research and practice. Alison Fox, a senior fellow of the Higher Education Academy (HEA), is a senior lecturer at the faculty of wellbeing, education and language studies at the Open University. After training as a secondary school science teacher, Alison moved into initial teacher training and research about and for the support of beginning teachers, including their emergent development as school leaders. Over the last 15 years she has been involved in projects funded by the Teaching and Learning Research Programme, Department for Education and National College for Teaching and Leadership related to teachers’ professional development, and supports practitioner enquiry through her master’s and doctoral supervision. Alison has been part of the working group involved in revising the BERA ethical guidelines, and has been convenor of BERA’s educational leadership special interest group (SIG) convenor for the last four years.